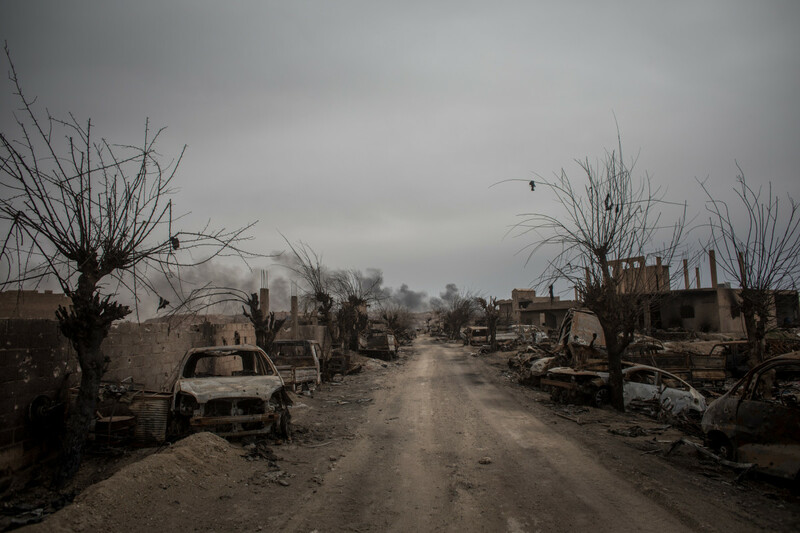 Destroyed vehicles are seen in the final ISIS encampment on March 24th, 2019, in Baghouz, Syria. When United States-backed fighters announced the final defeat of ISIS on Saturday, it wasn&apos;t the first time the world proclaimed defeat of the self-declared caliphate, which at one point controlled a territory the size of Portugal, home to 7.7 million civilians. In December, President Donald Trump surprised American allies when he declared victory against ISIS, and announced the withdrawal of U.S. troops from Syria. Then, on February 15th, Trump predicted that the "eradication of the caliphate" would be announced in the next 24 hours. But something about Saturday&apos;s victory announcement seemed different: As a spokesperson for the Syrian Democratic Forces (a Kurdish and Arab coalition backed by the U.S.) announced, anti-ISIS fighters had accomplished the "total elimination of so-called caliphate and 100 [percent] territorial defeat of ISIS." Aboard Air Force One on Friday, White House Press Secretary Sarah Sanders showed reporters before-and-after maps of ISIS territory, which illustrated the group&apos;s once vast extent in Syria and Iraq next to maps empty of ISIS colors. The "territorial caliphate has been eliminated in Syria," Sanders said. 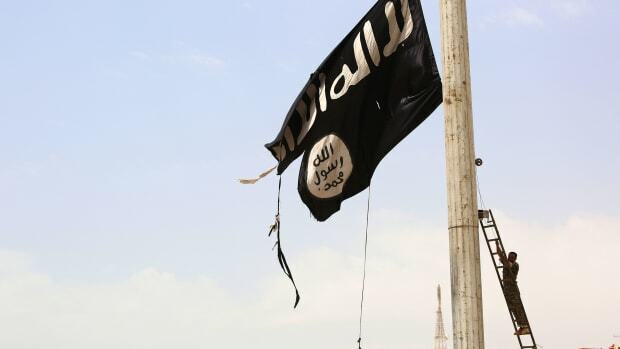 But experts have been quick to warn that ISIS&apos;s territorial defeat does not mean that the group has been vanquished. Even though ISIS no longer controls any territory, over 15,000 ISIS fighters, many of them armed, remain in the region. 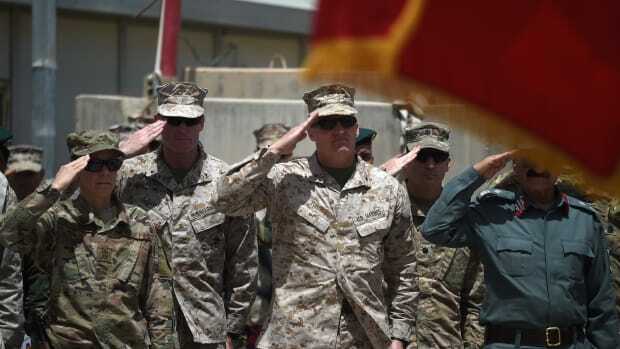 The battle against the Taliban government in Afghanistan offers a stark warning against early proclamations of victory, and the Taliban&apos;s resurgence in recent years reveals how a territorial defeat is only the first part of a war against a staunch ideological force. 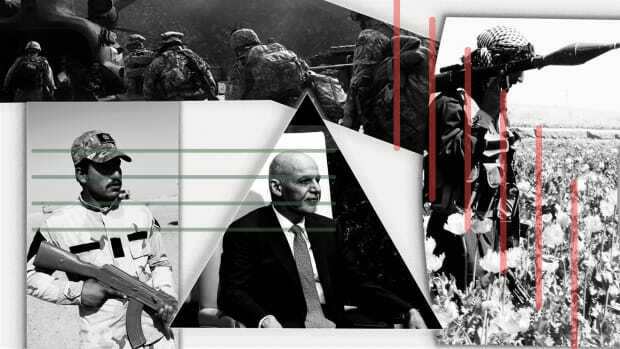 In 2001, three months after 9/11 and just nine weeks after a U.S.-led coalition invaded Afghanistan, the Pentagon announced that the Taliban had been defeated in Afghanistan. 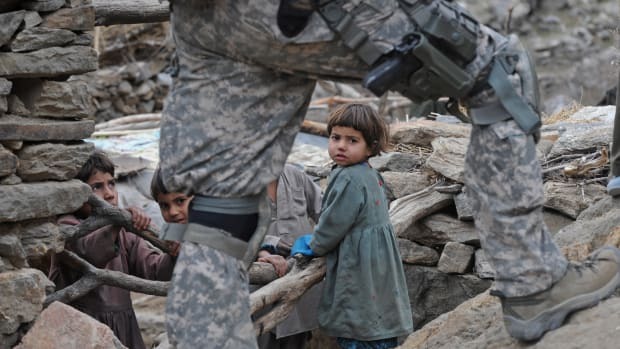 In November of 2001, the U.S. closed in on the group&apos;s last stronghold in northern Afghanistan, and, in December of that year, the Pentagon declared victory over the Taliban. As the New York Times reported, then-Deputy Secretary of Defense Paul Wolfowitz was careful to warn that the territorial defeat did not mean that the war was over—but he did go on to say that total victory could be predicted within the year. According to the Times, Wolfowitz said, "The American people have to be prepared for the fact that we may be hunting Taliban and al-Qaeda in Afghanistan months from now." 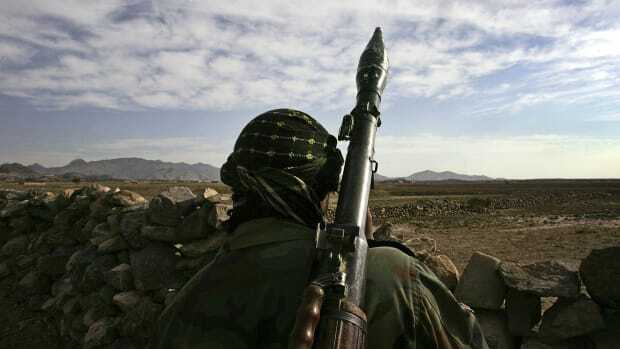 History has since revealed that predictions of the Taliban&apos;s imminent demise were overly optimistic. The U.S.-Afghanistan war is now in its 17th year, making it the longest war in American history. 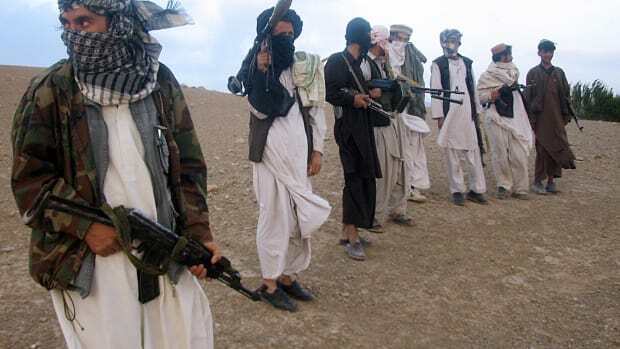 And though, in 2001, the Times reported that "no new Taliban government is expected to rise," today the Taliban—resurgent in Afghanistan—is in peace talks with the U.S that many commentators believe already represent a major victory for the group. As Abdulkader Sinno, a scholar on Afghan war and conflict at Indiana University–Bloomington, wrote for the The Conversation earlier this month, by 2004, the Taliban had managed to "reconstitute itself as an effective force of insurgents to fight the U.S. and the Afghan government, and they became stronger every year." In recent years, the Taliban has made considerable territorial gains and has killed thousands of Afghan troops every month. Sinno explains that the Taliban&apos;s resurgence has pressured the U.S. into peace talks, rather than trying to accomplish outright victory: "They already were rewarded by getting to negotiate directly with the U.S., as they have always requested, instead of the Afghan regime, which they despise," Sinno writes. "If the negotiations are successful, they would also be getting precisely what they asked for: an American withdrawal." Today, the Taliban has Kabul and control of the country within its grasp. The ongoing battle against the Taliban offers a stark example of how even a complete territorial defeat is only one kind of victory.